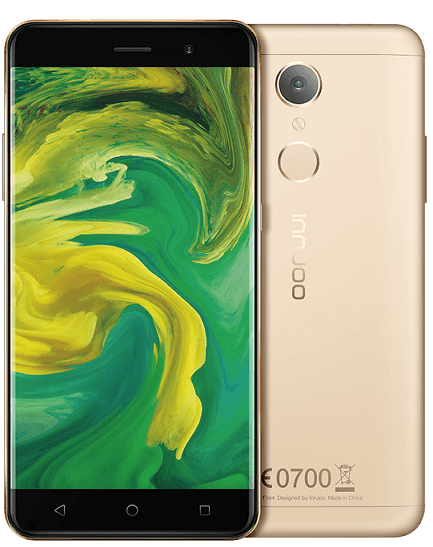 Innjoo Fire 4 is the 2017 refresh of the Fire series. 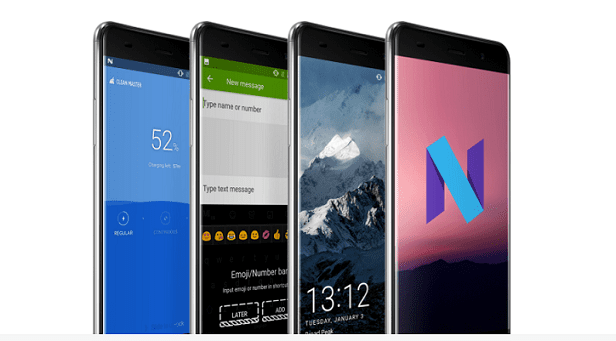 It is one of the first set of Innjoo phones to offer Android 7.0 (Nougat). On paper, the Innjoo Fire 4 does not seem different to the Fire 3 of 2016, but comes with some improvement like support for more LTE networks. The Innjoo Fire 4 comes in a metal body that is slightly slimmer than the Innjoo Fire 3. The smartphone is available in gold and gray. Like its predecessor, the Innjoo Fire 4 still sports a 5.0-inch IPS display with 720 x 1280 pixels resolution. The front of the phone is covered with 2.5D glass. Innjoo Fire 4 sports a 5 megapixels front facing camera and a 13 megapixels rear camera. Below the rear camera, you will find the fingerprint sensor, which can help unlock your phone in less than 0.3 seconds. The Innjoo Fire 4 is actually coming with basically the same processor as the Fire 3. The Mediatek MT6737T, which offers a 1.3GHz quad-core processor, is supported with 2GB RAM and 16GB built-in storage. The phone supports up to 128GB memory card. While the chipset is almost the same, the software have been upgraded from Android 6.0 to Android 7.0. Another major improvement is the Innjoo Fire 4 supports LTE networks. This means the phone will now support LTE on MTN, Etisalat, NTel, Smile, and InterC in Nigeria. Innjoo Fire 4 is not yet available in Nigeria, Kenya, or Ghana. When available, you can buy the smartphone at leading online stores in the countries. Innjoo Fire 4 Price in Nigeria is expected to range from 45,000 Naira to 65,000 Naira depending on your location in Nigeria. Price in Ghana should start at around GH₵ 500. Innjoo Fire 4 Price in Kenya should start at around 13,500 KSh.